Summer season is almost here and if you have an oily skin type, then it is time for you take extra care of your skin. Summers can be harsh to your skin – the dry, humid heat leaves you with stretchy, leather-like, patchy skin, and huge pores. Furthermore, the constant sweating can make your skin oily, which may lead to various common skin-related problems like acne and pimples. In order to steer clear of the same, you can bring a bevy of kitchen ingredients to your rescue. Various citrusy fruits can come to great help in keeping oily skin at bay. One such citrus fruit is orange. 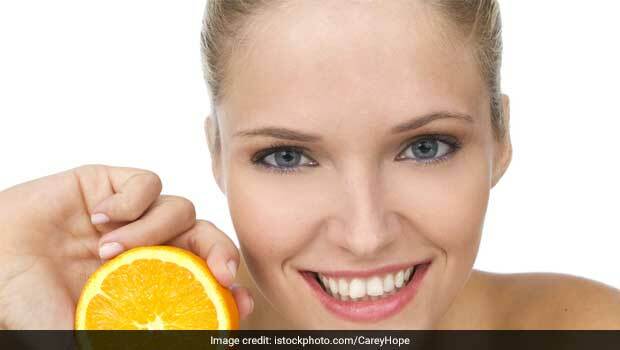 Oranges are known to work like magic on the skin and can benefit the skin in numerous ways. When applied topically on the face, oranges have the capability of absorbing additional oil from the face. To begin with, take a bowl and add neem paste and milk to it. Combine the two ingredients and add orange pulp to it. Once a paste-like consistency is attained, apply it on your face. You may apply it on your neck as well. Allow the pack to stay for around 20 minutes and then rinse it off with cold water. Take orange juice in a bowl and mix besan powder in it. Mix the two ingredients till a grainy paste is attained. You may even add rose water in this mixture as it will give your face a refreshing feel. Keep it on your face for 20 minutes. Once it dries off, wash it with cold water or dab some cotton balls in water and clean your face using them. For best results, apply this face pack thrice a week. Take a bowl and mix both the ingredients in it until you get a grainy scrub-like mixture. Apply it on your face in a circular motion and wait for 10-12 minutes. Rinse off your face with cold water. So, without further ado, bring these skin-friendly face packs to your rescue and bid goodbye to oily skin.